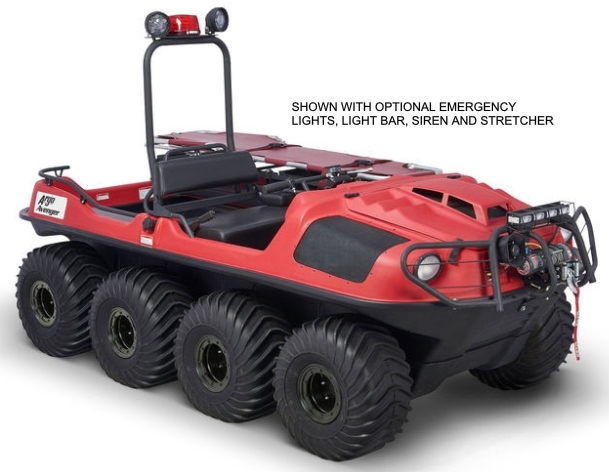 If your agency requires a capable amphibious vehicle for Search and Rescue or EMS response with unmatched versatility look no further than the 2019 Avenger Pro 800 XT Responder 8x8. 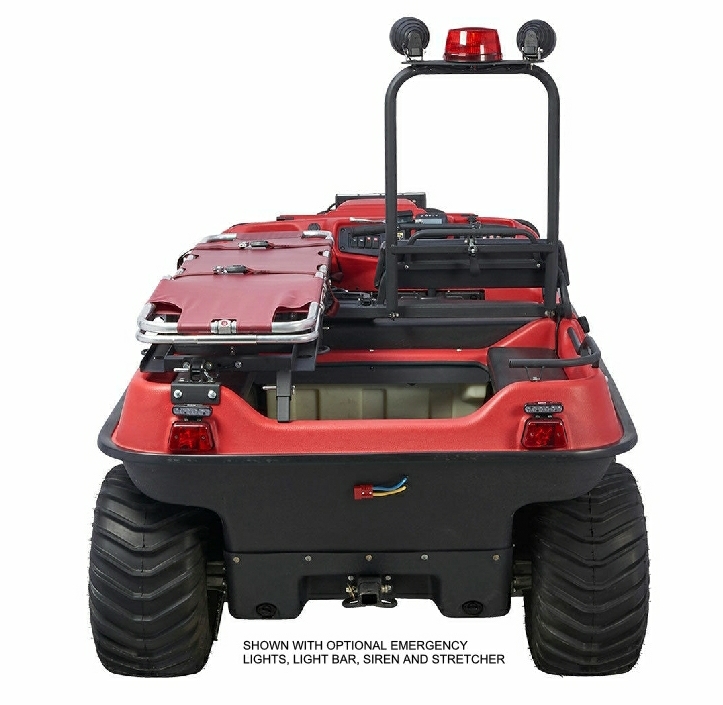 Based off the popular Avenger 800 8x8 platform the Responder is equipped with the most critical options to get you in and out of the most extreme off-road conditions in a low center of gravity platform. 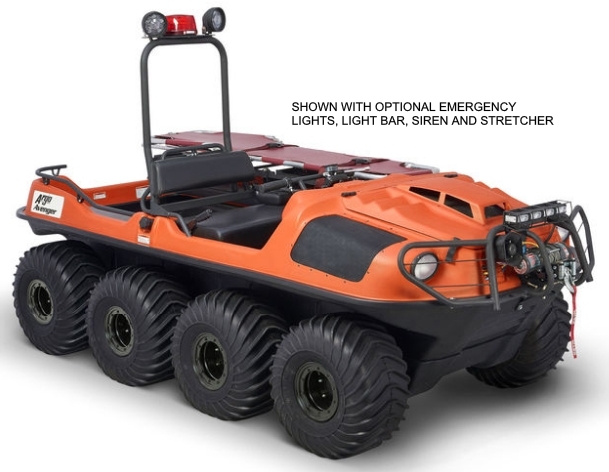 Standard accessories include front winch mount with a Warn Provantage 3500 cable winch, standard duty brushguard, folding stretcher frame (stretcher optional), folding front seat, bilge pump, horn, and full-length skid plate. Standard power is the Kohler 30hp liquid-cooled fuel injected gas engine which provides excellent power in the deepest mud and bogs is mated to the efficient Admiral triple differential transmission to conquer the most severe off-road conditions. Color options are red or orange. Standard axles are the extreme duty 1 3/8" forged steel axles mounted to 9" black offset beadlock steel rims that allow for easy track installation and a water speed of 3mph. All you need to do is turn the rim around and re-install. No more lug extenders or spacers to fail. 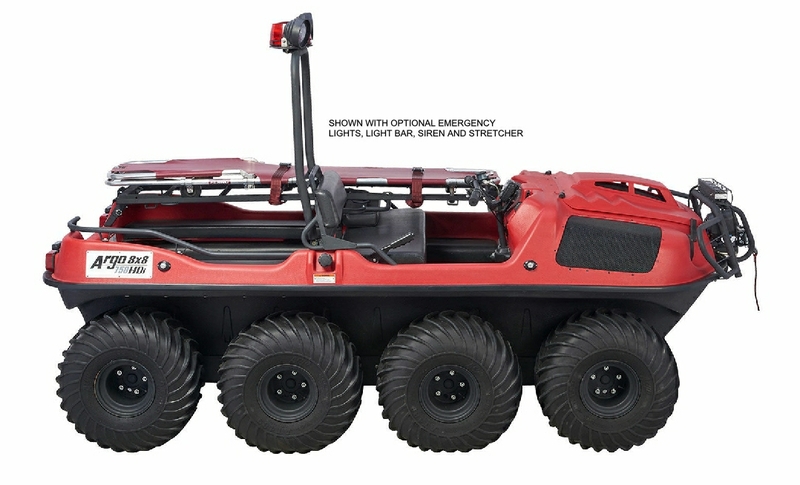 The Avenger Pro 800 8x8 Responder uses the reliable triple differential Admiral transmission the standard 6.2 gear ratio. 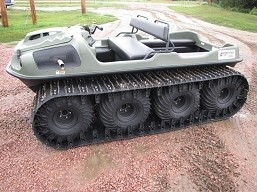 Available as options are 18" rubber tracks or deep mud and swamp grouser style Mud Pro tracks. 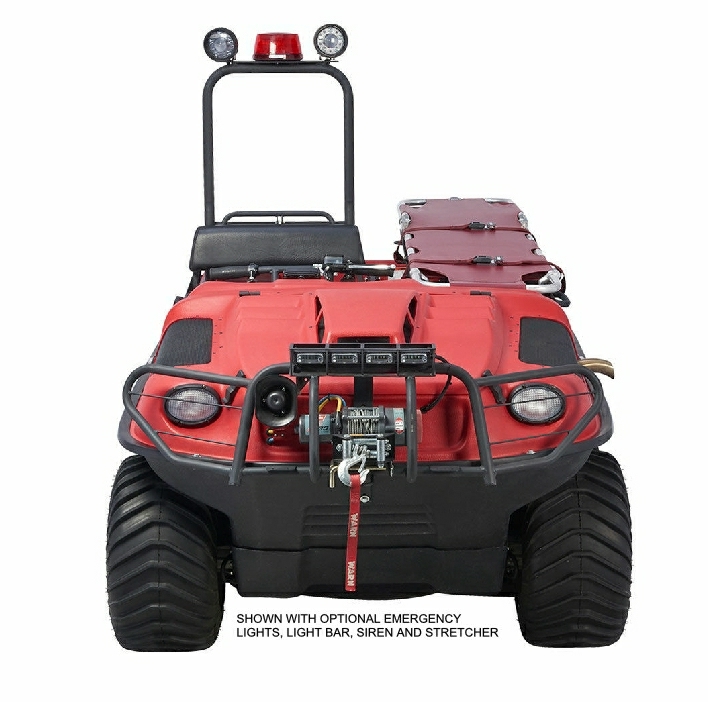 The Responder is powered by a 4-stroke OHV V-Twin liquid cooled 748cc, 30 hp (22 kW) Kohler Aegis ELH 775 engine with electronic fuel injection. 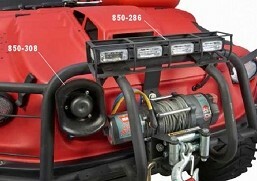 It has a load capacity of up to 840 lb. / 381 kg on land or 690 lb. 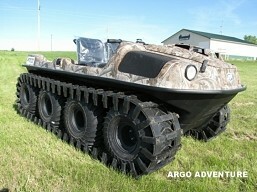 / 313 kg on water, can transport 4 passengers on land, up to 4 on water and features a towing capacity of 1800 lb. / 816 kg. 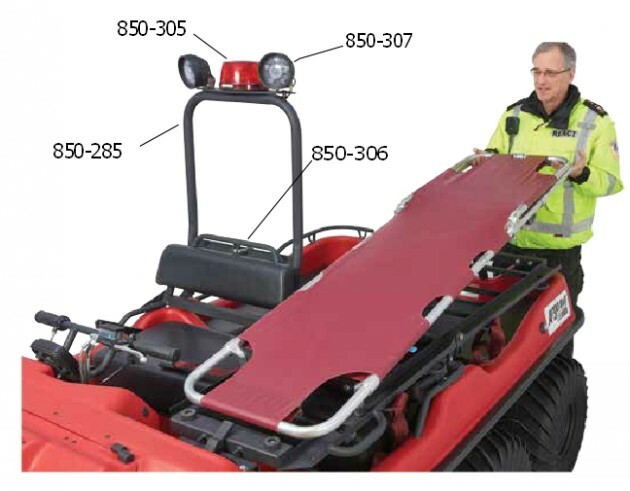 Note: The Stretcher, siren, front emergency lights, and light bar shown in the images above are optional accessories. Standard equipment is listed below.